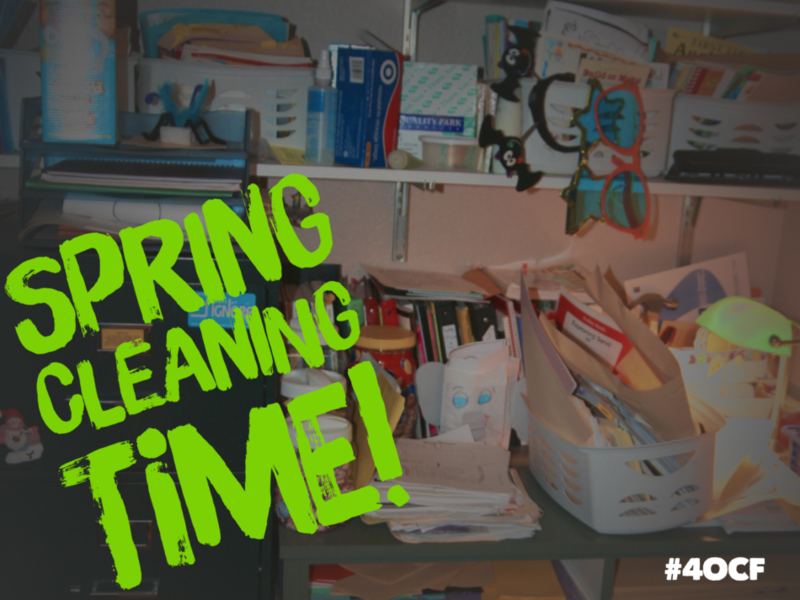 It’s just about time for Spring cleaning. At home, you can begin to throw away some of the junk that has accumulated over the years. The same can be done in your classroom. Look around and decide what can go. Have you not used that class set of laminated world maps in more than a decade? Chances are students might be looking at a map on their device. It is probably time to finally toss them. When was the last time anyone used this? A good general rule of thumb is if an item hasn’t been used in six months by you or your students, it can probably find a new home (in the trash or recycled for a makerspace). While decluttering your learning space, you can also declutter the instructional and learning practices taking place in your class. Look at everything that you do, and make sure that tasks, routines, and procedures are meaningful. If they are not productive for you or students, it’s also time to get rid of them. After all, it’s just about time for Spring cleaning.